For freelancers and small business owners, you may enjoy your work but you know that there’s more to your business than just that. You also need to get paid. That’s why it’s important for you to send out and receive payment on your invoices in a short amount of time. 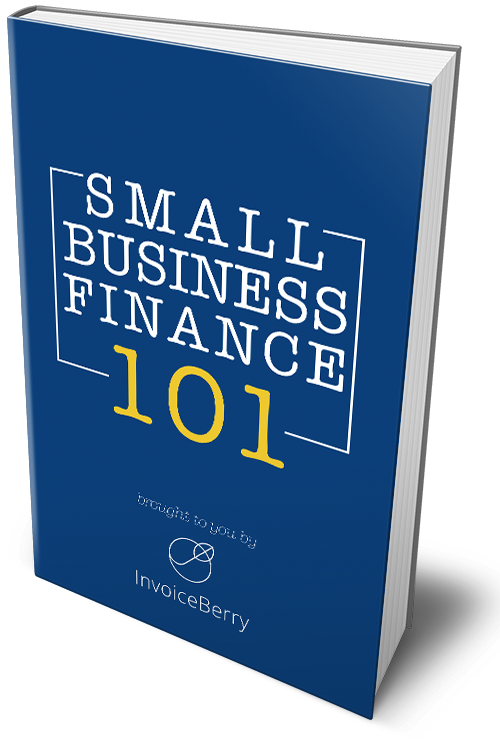 The financial aspect of your business is crucial if you want to succeed, so today we’ll look at some of the surefire invoicing tips for small businesses and freelancers. You’ll be able to employ these effective invoice tips so you can get paid faster. The most important piece of advice that can be given is to make life easier for yourself and get online invoicing software like InvoiceBerry. This is a simple no-brainer: instead of having to worry about creating documents when you get home, figuring out how much you worked and where those details are, and then trying to find your client’s contact details, you can just leave that to the software. InvoiceBerry helps simplify the invoicing and expense tracking process, so all you have to do is enter information online. That means you don’t need your home computer—just visit the site from anywhere. Also, all your clients’ details are stored on the site, so you don’t need to look for anything. There are even expense and other financial reports so you can track how well you’re doing. Take it as a given that from time to time you’ll have a client whose payment is delayed or late. They may even refuse to pay you fully or at all for your services. In these situation, it is very advisable to have certain policies in place. These act as a base of understanding between you and your clients. These policies may be adjusted upon a later date, for one client or completely, but keep them as a way to hold yourself and your clients accountable. In your policies you should be able to state whether you’ll take payment upfront and the time allotted for payment. You should also decide if there’ll be any late fees either as a specific amount or percentage. Then state what types of payments you’ll accept (cash, debit, bank transfer) and if you’ll deliver before or after payment. What are your and your client’s expectation? How much time do you have to deliver the services? And what, in detail, are the extent of the services? The answers to these questions will be different than what’s in your policy. Your policy is static and thus always the same for each client. These specific agreements on a case-by-case basis determine exactly what your services are and what your clients pay for. That will help you clear up and hopefully avoid any possible future confusion or surprises. With InvoiceBerry’s software, you can easily turn your quote into an invoice with just one click. For the sake of your record keeping—that is, if you’re not already using an invoicing software—you should have numbered invoices. You can use any system you choose—letters, numbers, or a combination of the two. It is always advised, however, not to start off your invoices with “001”. It will let the client know that you’re just starting out and potentially inexperienced – and perhaps unprofessional. Go ahead for your favorite number, such as “0072,” and start off from there. It happens to many freelancers and small businesses. They do all the work, but then when it comes time to pay they are just too tired or lazy to send invoices. That means that not only will their invoices not get paid on time, but they will also cause their clients some potential problems. After all, clients are also busy. Send your invoices as soon as the job is complete. In this way, being prompt is also a useful method to help keep you on your client’s mind. Furthermore, by sending invoices immediately, you’ll show your professionalism and that promptness is important to you. Don’t get too creative and academic with your invoices. Don’t use strange language that obfuscates (see what I mean?) the main point. If it’s for wedding pictures on June 8, 2016, then you should write “Wedding pictures, June 8, 2016”. There’s nothing too fancy about that. As for the layout and design of the invoice, simple is usually better. However, sometimes you want to be more creative and individual. That’s fine, but it’s better for financial documents to find a good balance with color, individuality, and simplicity. You can check out our list of free downloadable invoice templates and choose your favorite. Ideally as part of your policies, you should have included charges for late payment or delivery. This will help both you and your client to stay on track. For your client, there should be a certain amount added to the invoice for late payment. It can be gradual, so that one charge is added after 15 days, again at 30, etc. This can be a percentage, although usually it is a specific amount. Be sure also to make these payment due dates short. Therefore, 15 days, not 30, is better, as payers are on average late by 2 weeks. For yourself, you can also add a condition that there will be a charge against you (a discount) for late delivery. This can be of your choosing, but anytime you’re late on delivery, you should strongly consider a discount, written in policy or not. How do you know who’s paid? Just based on your memory? Or do you go through your bank account and check who’s sent you money? That is not a good system. Whatever your system is, you should note down the client as soon as possible after you receive payment. InvoiceBerry’s online invoicing software does this on its site, so it’s easy for you to do it as soon as you get payment. Don’t be scared to send payment reminders to your late clients. As you know, people do get busy, so it could just be a simple oversight. Nonetheless, don’t feel guilty about it. It’s very simple. You provided your services, as agreed, and they have the obligation to pay you, as agreed. It’s a simple transaction. However, when you send your payment reminders, do so politely. When you use polite language, people are more willing to send payment. It is easy to send payment reminders through InvoiceBerry, so you don’t have to spend too much time wondering about how to formulate it. You could choose to call the client directly when the payment is late, although an email is less intrusive. However, when the second email is unanswered, and now the third, it may be time to call the client directly. Just remember to be polite throughout your emails and phone calls. There is also no shame in trying to get your money, nor should there be any surprise. Services rendered equals money paid, so be firm in your attempts to get paid. Invoicing, and thus being paid for your services, is as important for your business as the work you do. That’s why it’s important to spend time perfecting your invoicing method now to save yourself troubles later. With these tips, you’ll make the whole process of creating invoices and getting paid much faster. Got any other tips to help make invoices more efficient? Let us know in the comments below!